Christians have great news to offer Jehovah’s Witnesses. 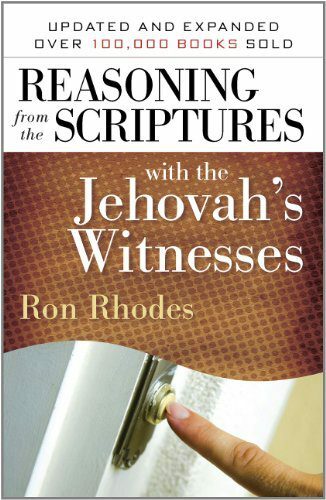 In this revised and updated version of the top-selling Reasoning from the Scriptures with the Jehovah’s Witnesses (more than 90,000 copies sold), author and Bible expert Ron Rhodes helps readers delve into the Bible and use practical tools to share God’s truths with those who come calling. With easy-to-understand helps, concise information, direct comparisons of beliefs, and a compassionate presentation, this resource from Ron Rhodes is ideal for personal and church libraries and for any reader who wants to confidently share the gospel.